Bauman University host a scientific seminar on the combinatorial enhancements of Homfly and Kauffman skein invariants. 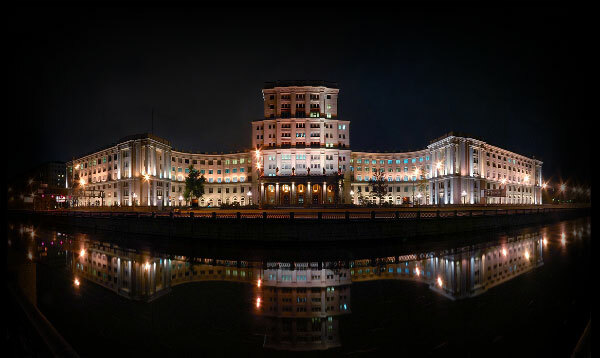 It will take place in Conference Hall of Bauman University (Moscow, Rubtsovskaya nab., 2/18). The Seminar leader is Professor Vasily Olegovich Manturov. Dear Colleague! We are writing this message because you gave a Skype talk at our seminar. Now we are planning to translate our remote talks by Skype: all remote talks will be available for remote participants. The next talk by Louis Hirsch Kauffman on Khovanov homotopy will be given on Tuesday, March, 28, at 18:30 Moscow time GMT+3 (see below). Usually, our seminar in Moscow takes part on Tuesday at 18:30 or 16:45 Moscow time and on Friday, 15:00 Moscow time. If you would like to attend to our seminar, we can invite you by skype. Please send us an e-mail and let us add your contact and invite you to seminar in time. The Seminar gathers researchers in the field of qualitative theory of differential equations, spectral analysis and applications. The Seminar was organized in 2002 by the scientists of Lomonosov Moscow State University and Bauman Moscow State Technical University on the basis of the Department of Higher Mathematics of Moscow State University of Economics, Statistics and Informatics. The Seminar leaders are: professor, Dr. Sc. (Phys.-Math.) I.V. Astashova, professor, Dr. Sc. (Phys.-Math.) A.V. Filinovskiy.